Communication Arts magazine is currently accepting entries for their 24th annual Interactive Competition 2018. This juried competition celebrates the best work being done for the Web, Desktop, interactive installation and handheld devices. Student work is also being accepted. Chosen by a jury of distinguished developers, interface designers and creative directors, the selected entries will be distributed worldwide in the Communication Arts Interactive Annual, both in print and digital editions, and on commarts.com, assuring important exposure to the creators of this outstanding work. Each winning entrant will also receive a personalized Award of Excellence, milled from solid aluminum. Any project—interface design, educational and entertainment program, interactive product display or application—created for digital distribution on Desktop, interactive installation, handheld device, online service or the World Wide Web is eligible. No eligibility period due to the rapidly-changing nature of interactive media. 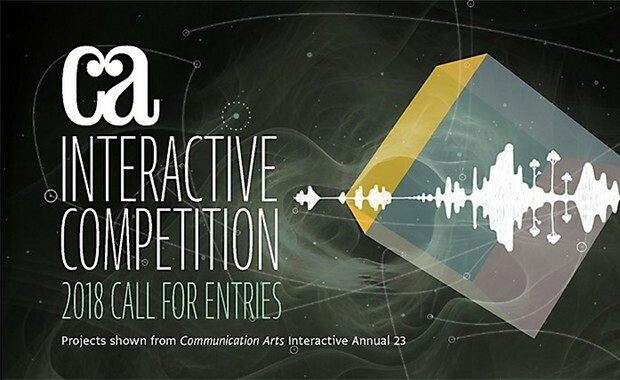 The entry fees for Communication Arts’ 2018 Interactive Competition range from $100 to $125 ($30-45 for Student Work). Entries submitted after 6th October 2017 require a $10 per entry late fee.